What Microsoft neglected to say was that Office 2019’s inferiority stems from decisions the company itself has made about how the suite’s applications are created and serviced. In a public relations pitch dubbed “The Twins Challenge,” Microsoft set three pairs of Millennial-aged identical twins against each other. One twin ran an Office 2019 application, the other ran the same-named desktop app from within an Office 365 subscription. Each was asked to complete the same task, with the first finisher given the win. Microsoft didn’t pretend it was a fair fight. That’s Microsoft’s doing. In the past, Office – the one-time-purchase version that comes with a perpetual license – wasn’t deliberately crippled like this. Microsoft would occasionally issue a service pack, labeled SP1, SP2 and so on, that would deliver a limited number of new features and functionalities. Office 2013 was the last suite to get the service pack treatment, while Office 2010 was the most recent to receive more than one. Office 2016 did not refresh with a service pack; nor will Office 2019. Instead, Microsoft deliberately did the “freezing” that Spataro mentioned by declining to update, upgrade or refresh the applications in either suite. The perpetual license – meaning that once paid for, it can be used in perpetuity – is now serviced only with bug fixes. Word, Outlook, Excel and the other applications in Office 2019 may share names with the desktop apps in Office 365 ProPlus, but the pairs are not identical, unlike the twins who starred in Microsoft’s public relations shorts. Simply put, the features of the Office 2019 applications are a subset of what’s in the Office 365 ProPlus apps. That’s because of the way Microsoft builds perpetual Office. As new Office 365 ProPlus features and functionality accrete, those applications evolve until, at some point – usually about three years from the previous perpetual Office – Microsoft says they are sufficiently different to warrant a new release. Microsoft then packages those versions into an upgraded suite for customers who continue to make one-time, up-front purchases. Although the perpetual licensed Office 2019 was built from code already released as Office 365 ProPlus, there was no guarantee that all of the latter made it into the former. (Spoiler: It didn’t.) Microsoft decided which ProPlus features made it into Office 2019. The tools featured in “The Twins Challenge,” the ones which gave the ProPlus users huge advantages, clearly did not. Spataro’s blog post used the headline, “Office 365 crushes Office 2019.” Microsoft trumpets its products all the time – that’s what all companies do – and has even trashed aged OSes in the past. In early 2017, for example, Microsoft denounced Windows 7 as “long outdated,” even though it had three years of support still coming, and urged customers to steer for Windows 10 instead. Before that, Microsoft slammed Windows XP as it neared retirement and panned Windows 7 after Windows 8 started to ship. But to bash a brand new title? That’s unusual. Microsoft’s purpose for taking this approach is transparent: To move customers from perpetual licenses to subscriptions. That effort has been ongoing and unrelenting, and longest for Office. Some of the changes Microsoft has made to diminish perpetual licensing and portray subscriptions as more appealing in comparison have been unprecedented, including shortening the support for Office 2019 and restricting it to Windows 10, even though other operating system editions have time left on the clock. The composition of perpetual Office has also played a big part in the diminishing of one-time purchases. Not only is Office 2019 a subset of the current Office 365 ProPlus but it’s seriously behind the times. PowerPoint Designer, the tool that let one twin beat the other in the slide maker head-on, was added to ProPlus in 2015. Resume Assistant, another crucial component in ProPlus that let its user pummel his twin brother, debuted in February 2018, more than half a year before Office 2019’s launch. 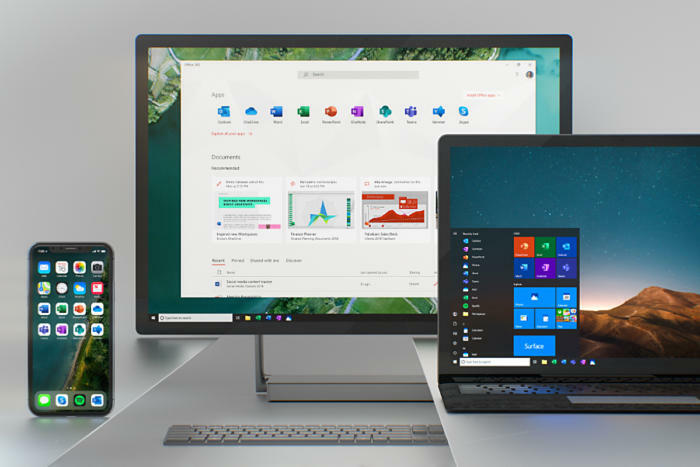 Office 2019, then, is outdated and outmoded when compared to Office 365 ProPlus, says Microsoft. And that’s Microsoft’s doing. Like one of the twins said, “That’s not fair.” No, it’s not. But it’s in Microsoft’s interest. Next Do You Have Endometriosis? Everything Women Need To Know About The Painful Disorder.